Wellness Wednesday Tip #35: Enjoy a Glass of Red Wine! This week's tip is to have a glass of red wine with dinner! Red wine has been found to be rich in antioxidants including resveratrol, catechin, epicatechin and proanthocyanidins which can (potentially) reduce the risk of heart disease, cancer, and fight inflammation. "Potentially" is the key word here, as many studies show that the health benefits of wine depend on the serving size. Unfortunately, this is not a case of "some is good, more is better" as the antioxidant benefits of red wine max out around 5 oz per day. Research can also be tricky on the subject and should not just be taken at face value. 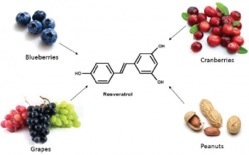 For example, to get the amount of resveratrol required to fight inflammation and heart disease you would have to consume several bottles of red wine per day, which would be less than effective for improving your overall wellness (or your daily schedule). In fact, overindulging can be detrimental to health and lead to alcohol dependence, increased risk of breast, mouth, and throat cancer, high blood pressure, and damage to organs such as the heart, liver, and pancreas. Basically, if you enjoy red wine, keep doing your thing - ending each day or a few nights a week with a glass (or two). But if red wine isn't for you, no worries! There are plenty of other ways to reduce your risk of cardiovascular disease and inflammation including eating a diet rich in whole foods based around plants (fruits and veggies), minimizing processed foods and animal products, prioritizing movement throughout your day, and maintaining a healthy balance of recovery and sleep. So give us a shot and let us know how it goes! Thanks again for all of the #WellfieWednesday support, be sure to post your pictures again this week and tag Patrick (@PBernerSPT) or myself (@Eric_in_AmERICa ) and keep the wave of healthy change going!